If you like to install a custom master key lock system in Etobicoke, Ontario, get in touch with our locksmith. We are masters in such systems. Our techs have been installing and servicing them for a long time. Master locks used to be simple solutions to high security concerns. Today, there are variations and so they offer even greater levels of security. They also make controlled access easier. Interested in such locking systems? Get in touch with Locksmith Etobicoke for excellent and affordable service. With the right office master key system, you decide which employee has access to which door. And so you distribute keys accordingly. At the same time, each worker in your company will still use his or her key to gain access to a particular office. If you want some executives to have access to certain rooms, we can make a set of master keys for these rooms only. But the manager and/or cleaning staff might have one master key in order to have access to all areas in one building. We can make it happen. There are also apt building master key system variations. No matter how many master keys you want to distribute, we make sure you get the locking system you need for your apartment building. You can simply have one main master key for the superintendent or consider how many current users there are in your building that should have access to all areas. There are all sorts of master key lock system solutions and we guarantee to provide the best ones for you. Our experts excel at the installation of such systems. You can get any master lock system design you need. Such systems offer great solutions to security issues, make your life easy since you don’t have to carry too many keys to open many doors, and you can always expand the system as long as you stick to the same design. If you want one key for many doors, call us. 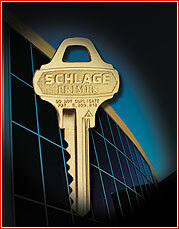 We provide solutions and master key lock system Etobicoke installation services. Get in touch for quotes and more info.